Most people know Brandon Sanderson as the magic system guy, or as the guy who writes massive, 400,000 page tomes. He’s the Mistborn guy, or the guy who finished the Wheel of Time. Yes, he has done all of those things in his short (<10 years) career, and he has done so much more. Sanderson, some people seem to forget, has written outside of his Cosmere. He’s written at the very least, YA, Middle Grade, sci-fi, and tech-thrillers. And he’s done all of those things incredibly well. Steelheart is the first book in his second YA series, and I loved it. Steelheart is a post-apocalyptic YA action-adventure super-villain story. Many people complain about the post-apocalyptic/dystopian market being saturated… but they’re complaining about the copy-cats, the long lists of books that are all essentially the same, often even using the same characters with different names. Steelheart is not like those books. 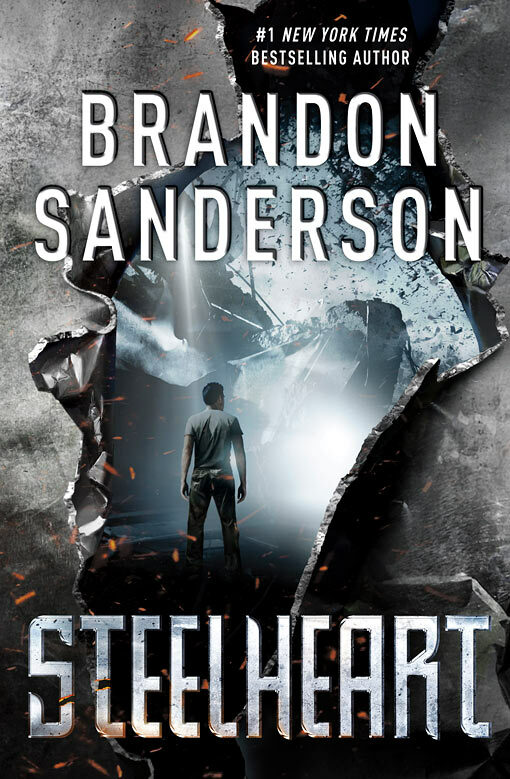 Steelheart is a breath of fresh air into the field, with all of Sanderson’s trademark elements. He’s got a brilliant, diverse cast of characters. The Reckoners, Tia, Prof, Abraham, Cody, and Megan, are all fun and unique, each in their own way. My favorite is probably Cody, and his constant insistence on silly things, like the magical little men living inside devices that make them run, and his ever-changing list of claimed inheritances/nationalities. But that’s not to forget the main character, David. David could easy have become a blank, revenge-coated slate. I mean, it would have been awesome for him to say, “Hello. My name is David Charleston. You killed my father. Prepare to die.” But that’s not all of who he is. He is a nerd of the highest order, researching epics and their weaknesses, giving us someone the nerd inside all of us can utterly relate to, and a brilliant way to info-dump without being boring the reader. He’s a gun nut, and has a very personal relationship with his weapons. He also makes the most horrible metaphors. Ever. And they’re so crazy you can’t help but laugh. I love David. He’s not a flawless hunk of man-meat, single-mindedly destroying villains. He’s a real person with all kinds of quirks who wants to see things set right in the world that has collapsed around him. He is the hero I would want to be, if I ever travelled into a book. Sanderson also has his trademark magic-system feel with the epics, the evil super-villains that David so carefully categorizes and the Reckoners are determined to kill. Sanderson’s invented an impressive set of powers and names—no mean feat in a world already full of comic book superheroes and supervillains. And yet, we don’t quite know how they got their powers, or why only the evil people get them. This is one of the driving forces of the book, and I don’t want to spoil it for you. And the plot is driven, all the way through. Sanderson’s adult novels are sometimes criticized for being slow and boring. The first one or two, perhaps, are, though I feel in general that the criticism is unfounded. Luckily, there’s no way that anyone could make this criticism about Steelheart. It’s one heck of a ride, stuffed full of adrenaline filled fight scenes and tense moments. But, unlike so many other YA books I have read, it does not get lost in these moments, the drive for a plot that keeps you turning the page. The characters, the real story of the whole thing… That is never lost among the scenes. Ever scene, every action, is integral to the plot and they are all put together in a way that makes perfect sense. In summary, Steelheart’s a fast, intense, adrenaline-filled read, appropriate for both YA and adult audiences, with an incredibly cast of characters, another trademark Sanderson magic system, and some very bad metaphors. Everyone should go read and enjoy this great book. Five of Five stars. Before I give links, I’ll conclude this review with a quote from Patrick Rothfuss’ (If you haven’t read Name of the Wind, you… need to fix that.) review of Steelheart. Why? Well, because Brandon writes so much faster than me. It only seems fair that some of his stuff should be crap. It just doesn’t seem fair that he’s brilliant AND fast…. Unfortunately for my ego, Steelheart is another win for Sanderson, proving that he’s not a brilliant writer of epic fantasy, he’s simply a brilliant writer. Period.